The Nation Institute on Media and Family have issued their annual Media Wise Video Game report card on how parents and the industry deal with game ratings, and once again the industry wins. While the report issued an "A" to the ESRB for their new rating summaries and a "B+" to retailers for following rating policies, parents were issued an "Incomplete" grade due to them not familiarizing themselves with ratings, utilizing built-in parental controls, or basically giving a damn what their children do on the video game box as long as it lets them enjoy their gin and tonic in peace. Back when I was in high school, and "Incomplete" grade really meant that you had failed, but the teacher was afraid of you. Interestingly enough, the official press release closes with a warning about video game addiction, citing that a growing number of experts consider compulsive gaming to be a real problem. I just don't know who to listen to anymore.Report Credits Gaming Industry for Efforts, Tells Parents to Step-Up National Media Organization’s 13th Annual Video Game Report Card Finds Gaming a Larger Part of Family Life, Parents Need New Tools Minneapolis — Released today, the National Institute on Media and the Family’s 13th Annual MediaWise® Video Game Report Card highlighted the growing trend of gaming in family life, improvements made by retailers to keep inappropriate games out of children’s hands and efforts made by the gaming industry to tackle childhood obesity and academic achievement. “For 13 years, the National Institute on Media and the Family has been asking the video game industry and retailers to take responsibility to keep mature-rated video games away from kids,” said Dr. David Walsh, president and founder of the National Institute on Media and the Family. “This year the industry has improved its ratings enforcement and given parents new tools when choosing the right video game for their child. That’s a significant step in the right direction.” The report card showcased a recent Federal Trade Commission report that found only 20 percent of kids who tried to purchase M-rated (mature) games from retailers were successful. This shows improvement from 2003, when 55 percent were able to buy M-rated games. In addition to retailers’ efforts, the Entertainment Software Rating Board (ESRB) recently launched online rating summaries that give parents additional information, available on a mobile-phone-friendly Web site, explaining why the game received the rating. The report issued this year’s grades to parents, retailers and the ESRB for ratings enforcement and education and graded the video game industry’s parental controls and marketing tactics. The grades include: “Incomplete” for parental involvement as too many parents are not using information like game ratings, parental controls and screen time limits provided by retailers and console makers; “A” for the ESRB’s ratings and its new ratings summaries; and “B+” for retailer policies, as an 80 percent enforcement rate shows significant progress with some room for improvement. “Now that we parents have the information and tools we need we have to step up and do our jobs. There are still too many kids playing M rated games and too many kids playing for too long. 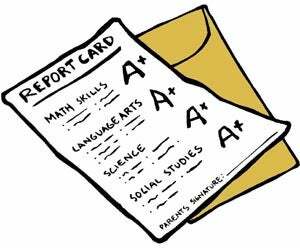 That’s why this year’s report card assigns a grade of ‘Incomplete’ to parents,” continued Walsh. To help parents, this year’s report card features a Parent’s Guide to Video Games along with the annual list of recommended games for kids as well as games to avoid. “Video games have become a staple in most American households as games like Wii Fit, Guitar Hero World Tour and Hasbro Family Game Night replace traditional board games and family movie nights,” continued Dr. Walsh. “But too much video game playing can lead to an unhealthy lifestyle and can be a contributing factor to childhood obesity and sliding school grades, and, in some cases, may cause video game addiction.” Excessive, compulsive video game play bears all the hallmarks of an addiction. A growing number of addiction experts consider compulsive gaming as a real problem. In fact, there have been calls for the American Psychiatric Association to add video game addiction to the list of official mental disorders. About the National Institute on Media and the Family The National Institute on Media and the Family is an independent non-partisan, non-sectarian, nonprofit organization. The Institute’s mission is to maximize the benefits and minimize the harm of media on the health and development of children and families. For more information, visit www.mediawise.org.